Wheat is a grain that that is cultivated and consumed worldwide, making it one of the staple foods in the world that spans across continents and generations. Wheat is a primary ingredient in bread and dough, making it one of the most widely consumed food across the globe. Grains trade, as wheat is commonly referred to have been of interest for speculators as well as merchants and producers and for a reason. As one of the staple foods, wheat accounts for nearly 10% of production in the world markets. Wheat futures are part of the agriculture or grains complex and offers some unique trading opportunities for futures traders. It also has over a century of history as one of the oldest commodities in futures trading. What is unique about the wheat market is that it is global and not concentrated to one particular region. Although the United States is the largest wheat producer while Japan the biggest wheat importer, other wheat exporting nations includes parts of Europe and Argentina. Wheat futures are part of the original three agricultural futures (oats and corn being the other two) that started to trade around 1877, nearly 30 years after the Chicago Board of Trade (CBOT) was launched. These three grains products were the first commodities that were traded and helped to revolutionize the futures trading industry. When wheat futures started being traded on the Chicago Board of Trade (CBOT) in 1921, it was estimated that average wheat trading volume was around 2.5 million during the time. As of 2016, wheat futures recorded a volume of 31 million contracts indicating that demand for the commodity has only grown in leaps and bounds. 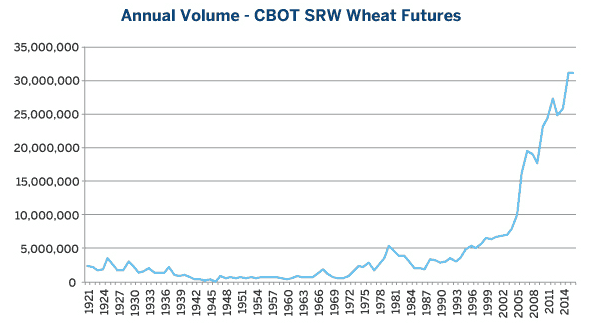 Wheat futures were exposed to a wider market, when in 2006, electronic trading was introduced for the grains markets. With the commodity boom underway, the electronic trading enabled to bring in a lot more market participants to the agriculture complex. 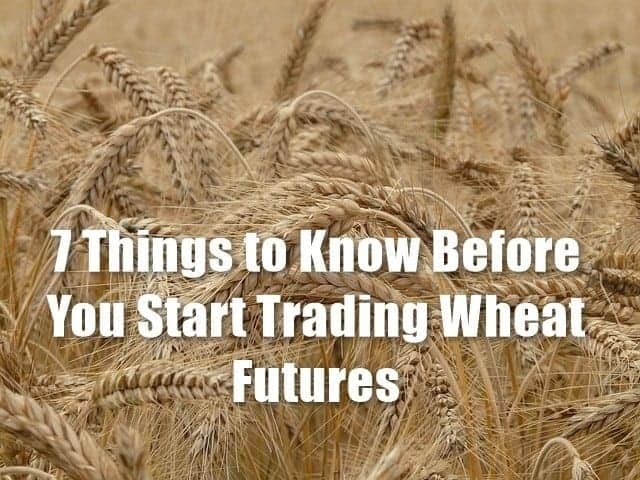 Having an understanding of the basics of wheat futures and knowing a bit of history, traders who want to trade the wheat futures, need to remember these seven points. Although the term "wheat futures" are widely used, there are actually different types of wheat with different characteristics. Some of the most common wheat types include the hard red winter wheat, the soft red winter wheat and hard red spring wheat futures. Each of these three wheat types is cultivated in different parts of the United States. Hard red winter wheat is mostly produced in the state of Kansas and grows across the plains of Texas and South Dakota. Whereas, the soft red winter wheat is growth is produced in the eastern Corn Belt spanning across Missouri to Michigan. The soft red winter wheat or SRW is traded on the Chicago Board of Trade (CBOT); where as the hard red winter wheat or HRW is traded at the Kansas board of Trade (KBOT). The hard red spring wheat or HRS wheat is traded at the Minneapolis grain exchange. Each of the wheat grades are used for different purposes, most of them milled into flour for different uses. Among the three, the SRW or soft red winter wheat is traded on the CBOT. The wheat futures can be traded as a standard size or a mini-sized contract. On the main exchange, the Chicago Board of Trade (CBOT), the SRW wheat or wheat futures are the primary grain type that is traded. The SRW wheat is traded in a standardized contract of 5000 bushels, while a mini-contract is standardized to 1000 bushels. 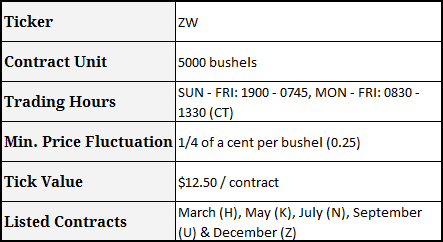 Pricing for the wheat contracts is in cents per bushel having a minimum price fluctuation of one-fourth of one cent per bushel or $12.50 per contract. There are a total of five listed contracts for March (H), May (K), July (N), September (U) and December (Z). On the Globex exchange, the SRW wheat futures are denoted by the ticker ZW. The futures contracts are be settled for delivery with the last trading day being the 15th business calendar day of the contract month. Retail day traders will of course be forced to close out their positions on or before the last trading day. The wheat futures are settled for delivery. The crop market year for the agricultural products plays an important role. Therefore, traders should know beforehand on the technicalities such as which operative marketing year of the crop is being traded. This data is usually released by the U.S. Department of Agriculture (USDA) which runs the wheat marketing year from June 1st through May 30th. The marketing years are important part of the fundamental analysis for the grains markets (including wheat) and offers glimpse in supply and demand. Wheat futures traders continuously monitor the changes to the domestic production, demand and exports in a bid to understand what the "ending stocks" for the wheat futures may look like by August 31st. Also remember that wheat crops can be spring or winter crops. When the time draws closer to the old crop marketing year, traders already start to focus on the new crop production data and build expectations from the USDA reports, which drives the prices. Wheat traders should therefore focus on the contract month that they are trading and the reports, which should also take into account the crop marketing year. For example, it is common to hear about forecasts for wheat prices, but these are not blanket prices. In many cases, the price forecasts for wheat are based on the marketing year. Besides the crop marketing years, the supply and demand aspects play a major role as well in influencing the prices of wheat. For example, it is currently estimated that there is just too much wheat supply in the world and since 2002, grain production, including wheat was seen to have increased over 48%. This is seen as one of the reasons for lower wheat prices as supply continues to outstrip demand. 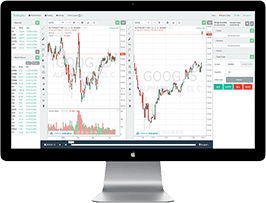 Thus the above two elements play a role in determining the trends in the wheat futures markets, which is important for the wheat futures trader. Therefore, the global supply and demand can play a crucial role. China’s demand for wheat has continued to grow and is expected to be one of the major drivers of Wheat prices from a consumption aspect in the near future. As a commodity for the global markets, wheat prices are heavily influenced by the global economy. This is because there are larger factors in play such as the oil markets which can hit the supply and demand dynamics. A slower economy also translates to lower investments in the agricultural sector as well as financing needed for the farmers, which lead to smaller and expensive yields. Overall, a slowdown in the economy can often result in a slump in wheat prices. The lower output on the production side could potentially lead to higher prices in Wheat, especially when one looks at the wheat futures from the aspects of the contract month that is being traded and the crop marketing year. A common but an important aspect that affects all agricultural futures, including wheat is the weather factor which can play a big role in the crop production. The aspects of weather are especially critical during the crop plantation period which can eventually impact the output. As an example, in June 2015, Wheat futures prices jumped to a 6-month high sparked by increase in demand on account of the bad weather in some of the growing regions. Heavy rains, drought, extreme heat and hurricanes can all wreck havoc on the wheat crop and are often bullish for Wheat futures prices. Wheat futures traders should pay attention to the weather patterns such as Eli-Nino that can have significant impact on the crop, especially in the northern hemisphere. Weather can have distinct effects on wheat crop depending on whether the crop is spring or winter wheat. Spring wheat and winter wheat are two main crops. The spring wheat is planted around April in the U.S. and Canada and they are harvested by late summer. Thus, they do not go through a dormant stage. Winter wheat is planted around September and planting continues through October in the southern parts of the U.S. Unlike spring wheat, the winter wheat crops sprout and go through the dormant phase until the winter freeze is over. The winter wheat crops mature and is ready for harvest by June - July. 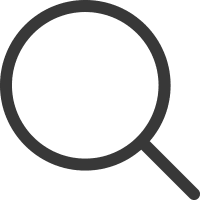 Market reports for the agricultural complex for the futures market is an essential part for traders and speculators in determining the prices based on the fundamental reports. The United States Department of Agriculture's market report on the wheat industry is one such report that is considered to be a major market moving report. This report, also known as the USDA report offers timely insights into the wheat market. The report is officially called the USDA Wheat Outlook publication. 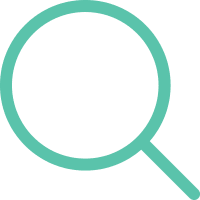 In essence, it connects the information such as crops, plantation and the demand outlook therefore bringing the complete picture for the agriculture market. The report is released on the 10th of every month and it details major aspects such as giving the outlook on the domestic and the global markets for wheat. Another report from the USDA is the wheat yearbook which offers a recap and an outlook for the previous and the current years. Here, the long term supply utilization projections for wheat are published in the report entitled Agricultural Baseline Projections. Besides reports from the U.S. international report on wheat prices also play a role. Other reports include from countries such as Australia, Canada and Japan which are major players in the import and export of wheat. Besides the above there are other independent reports released such as the Grain Market Report which published a yearly outlook on the commodity. 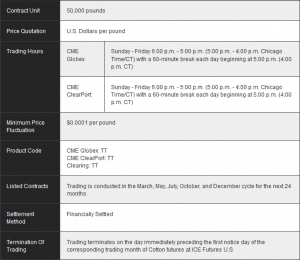 For the futures day traders, a more weekly timely report such as the CFTC’s Commitment of traders report can offer insights into how the major producers and consumers are positioned. Because Wheat futures are priced in U.S. dollar, the exchange rate plays an important role in setting the prices. When trading wheat, futures traders should focus on the potential implications of monetary policy which can influence the exchange rates. Furthermore, in the current Trump administration where references to the exchange rate have been more straightforward than earlier administrations, investors should be prepared for any potential volatility on the exchange rate. Thus, in conclusion when dealing with wheat futures, traders are looking at a commodity that has a rich history combined with deep liquidity. There are also other derivatives on wheat such as options, which have weekly expiring contracts. 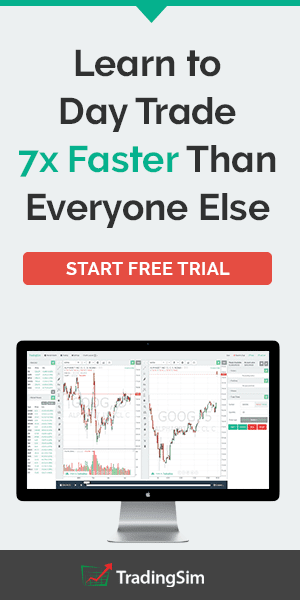 These are much sought after as market participants often flock to the options markets to hedge their exposure in the futures. Wheat futures contracts have stood the test of time and more importantly the contracts have managed to adapt to newer technologies. Many old-timers consider wheat (and grain futures) to be critical for the global supply chain and thus it is not uncommon to find that a majority of the market participants in the wheat market are often suppliers and consumers. For an average day trader, the wheat futures markets makes it ideal to capitalize on the deep liquidity and volatility that comes with it. Still, traders should apply caution when trading wheat futures as the risks as just as the same as with any futures contracts that one is trading.